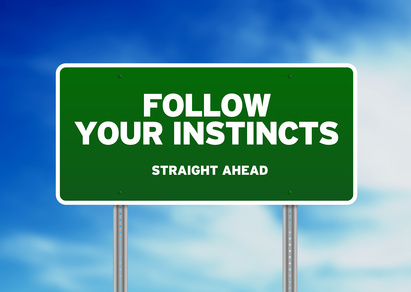 Week 17 – What price are you paying for not trusting your gut? This week I’m sharing a story about the power of persistence and the importance of trusting your gut in spite of the obstacles placed in your path. When my friend, Carla, purchased a new computer, she installed a battery back up to ensure that her work would be safe in the event of a power outage (a common problem in her hometown). She also added a device that would monitor the electrical power coming into the computer from the wall outlet in her office. Once installed, the device would beep when the power was too low. As soon as Carla installed the devices, she noticed a persistent beep. After a few days of listening to the sound, she contacted her power company to inform them of the problem. The service was checked and the woman at the electric company assured Carla that she had sufficient power coming into her home. She suggested that the additional devices connected to the outlet might be defective. But, after performing tests on both devices, Carla knew they were both working just fine. Over the next week the beeping continued and Carla grew frustrated. She called the electric company three more times without a positive outcome. Each time she was told that the cause of the problem was something other than the electrical current running into her home. In fact, during one call, she was transferred to a supervisor who inferred that Carla might be a little nuts. Fortunately, her inner voice was extremely persistent. Carla knew something wasn’t right. So, one afternoon, while working in her office and hearing the beep once again, she called the power company and insisted they send someone to her home. The next day, when their repairman arrived, he asked to be directed to the closest transformer on the street. An hour later, he reappeared at Carla’s front door and informed her that she was, in fact, experiencing significant, random dips in her home’s electrical power. After doing a little research, Carla discovered that dips in power often cause damage to electrical motors in a home. Turns out Carla and her husband had replaced their refrigerator, washer, dryer, and dishwasher all within the prior year because of motor malfunctions. Carla’s willingness to trust her instincts and be persistent in spite of appearing foolish or being perceived as a pest, paid off. She reported their loss to the electric company and was reimbursed nearly $20,000 in damages! As I listened to Carla’s story I was so impressed by her persistence and her ability to trust what she knew to be true in spite of the resistance of others. I thought about how a power sensor is a beautiful metaphor for the part of us that’s plugged into our intuition. When we listen carefully, we receive clear and persistent signals, alerting us to what needs attention in our lives. Her story inspires me to think carefully about the signals I receive in my own daily life. What feelings, thoughts, or experiences keep showing up, trying to get my attention? It’s worth thinking about. What’s beeping in your life? This week’s video is a collection of gorgeous photos of a white swan and her babies. It’s spring here in my neck of the woods, and I’m looking forward to seeing new life. I had no idea, however, how mother swans care for their young. It’s beautiful. You can watch it here.